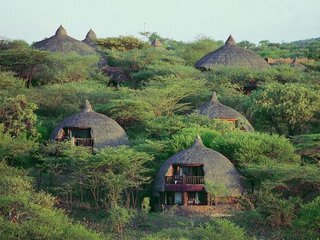 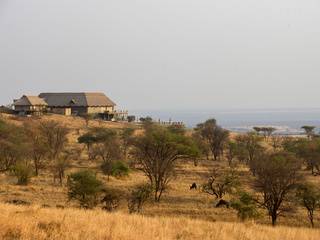 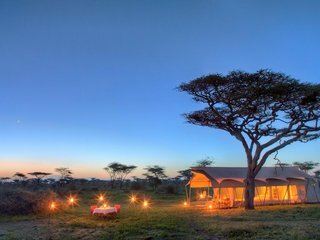 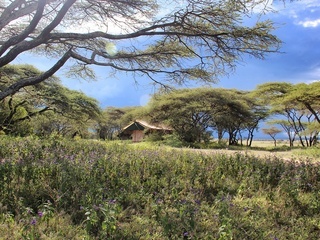 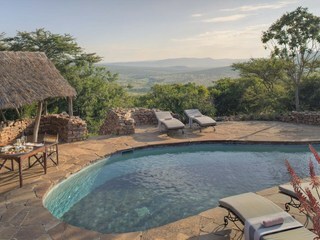 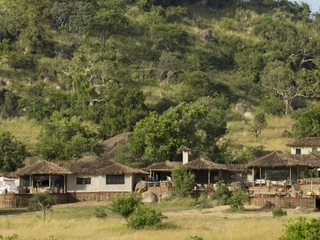 The Lodge at Grumeti Serengeti is located on the banks of a tributary of the Grumeti River on the western side of the Seregenti National Park, Tanzania. 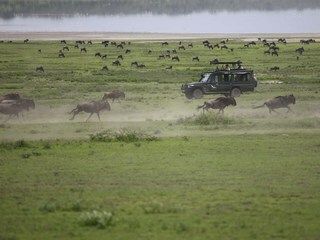 The famed wildebeest migration passes through from June to July and there is a rich abundance of year-round resident wildlife, including colobus monkeys, buffalo, elephant, lion, leopard and cheetah. 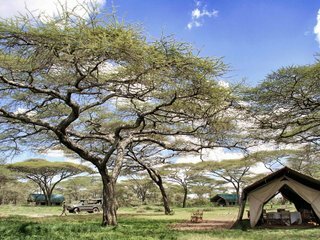 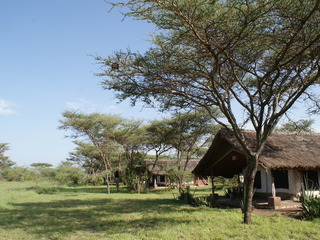 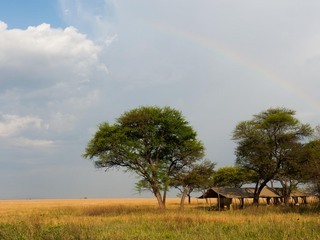 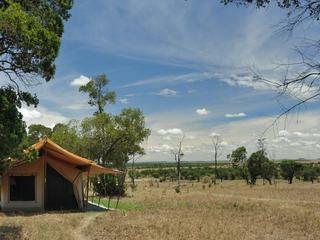 Accessible via light aircraft to the Grumeti airstrip, the camp is truly remote. 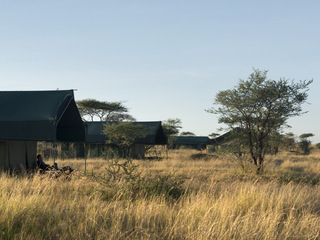 Note that it is only a 5-minute drive away from the airstrip, meaning that the odd plane might briefly disturb the camp’s peace during the late morning; however, nothing can really detract from the enjoyment of this wonderful lodge. 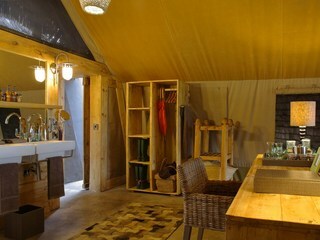 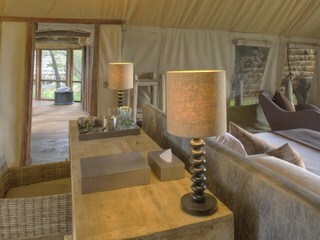 The camp belongs to the &Beyond portfolio, renowned for their stylish, comfortable properties and seamless service. 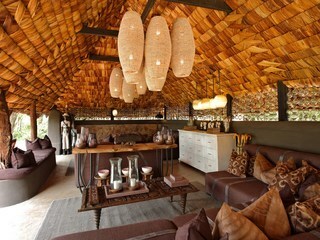 The main areas have a fresh and vibrant feel. 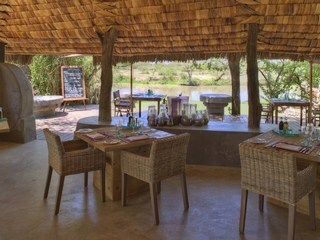 There is an open-fronted sitting and dining space, as well as a delightful domed bar. The spacious decking offers fabulous views of the river and there is an unheated rim-flow swimming pool. 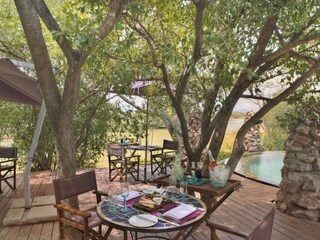 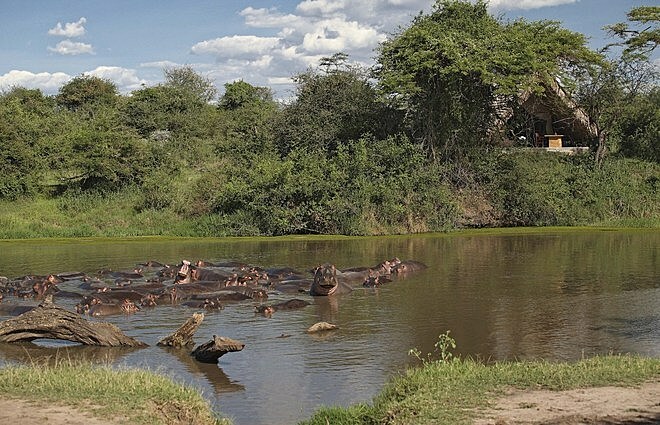 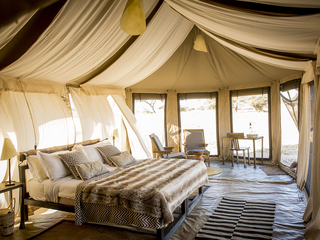 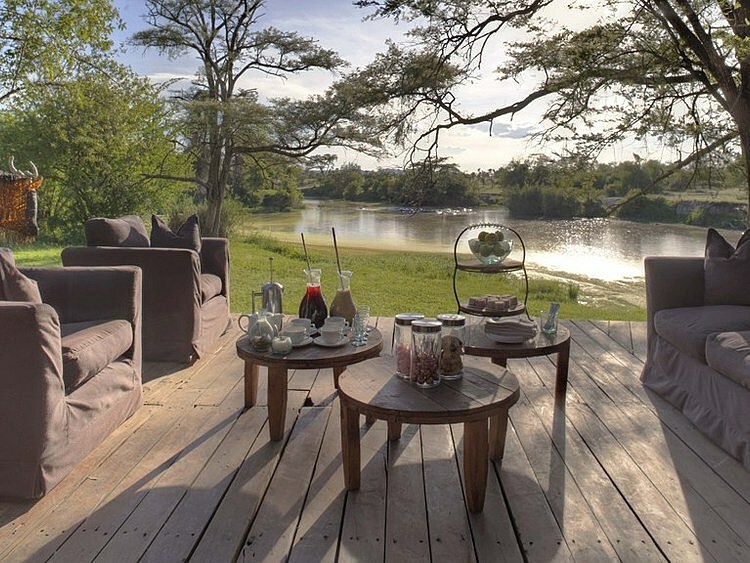 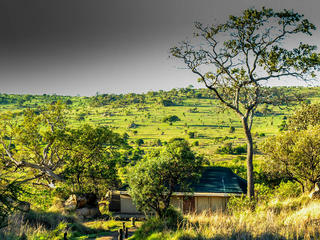 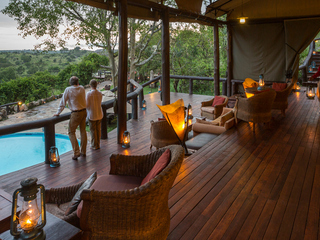 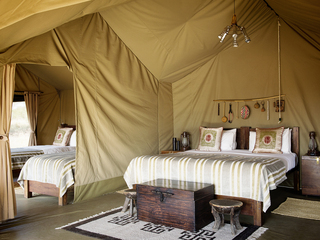 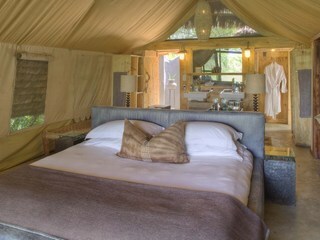 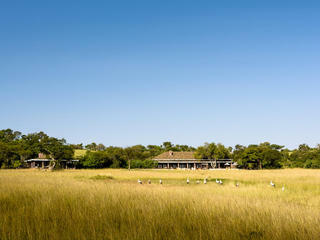 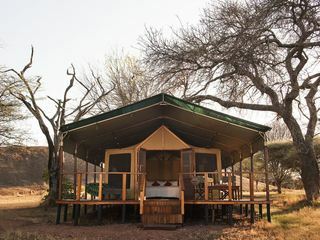 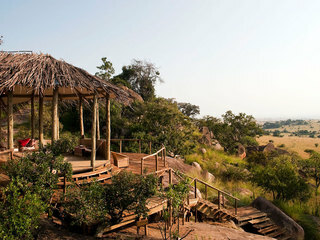 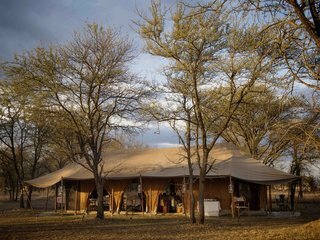 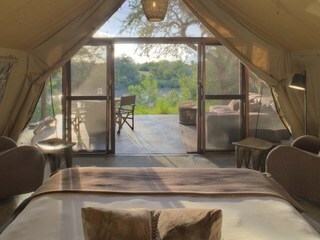 The accommodation comprises 10 elegant safari tents spaced out along the river bank. 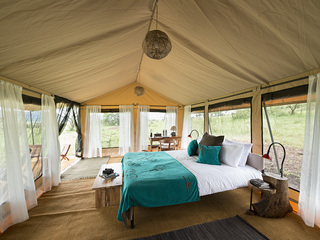 Each tent has an en-suite toilet and shower, plus an attractive stone outdoor shower and sliding doors which open out onto shaded private decking with lovely views. 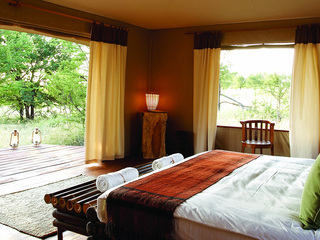 All rooms have a ‘gym in a bag’ and in-room massage is available on request. 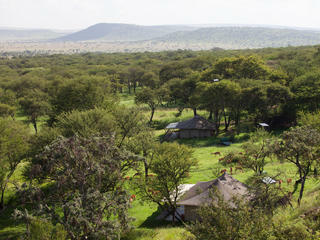 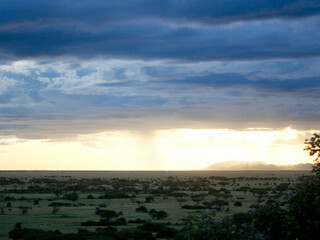 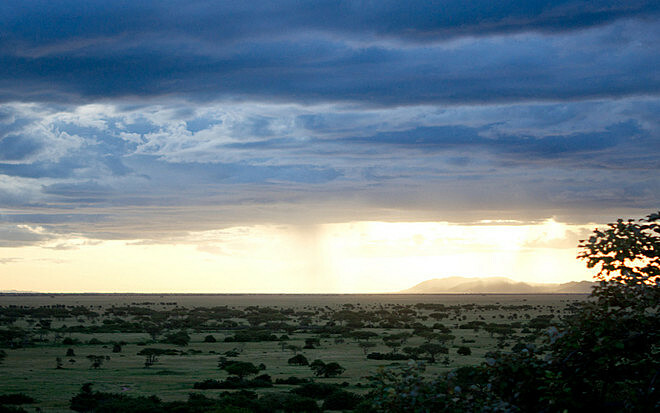 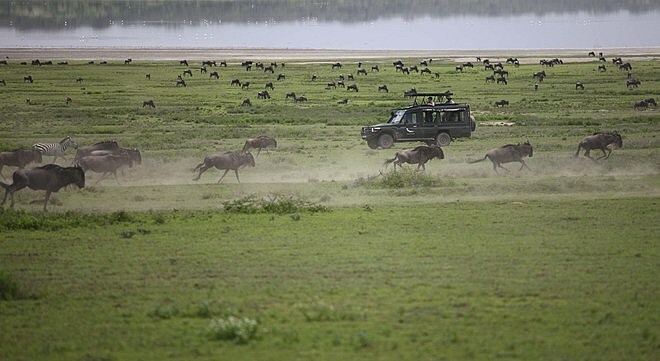 Activities comprise breath-taking game drives in open 4x4 safari vehicles with canvas canopies. 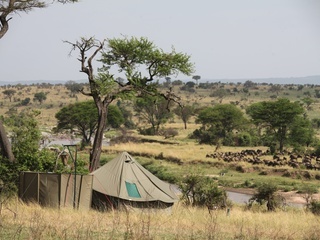 The Grumeti River provides a permanent water source, so the area is particularly rich in plains game and predators, and the birdlife is spectacular. 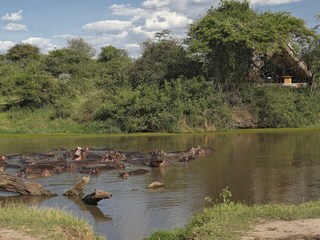 Balloon safaris and day trips to Lake Victoria can also be arranged. 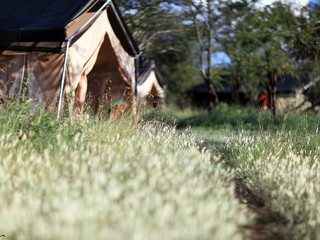 Children are welcome, and all young visitors receive the camp’s ‘WILDchild’ welcome pack, informing them about local wildlife and culture. 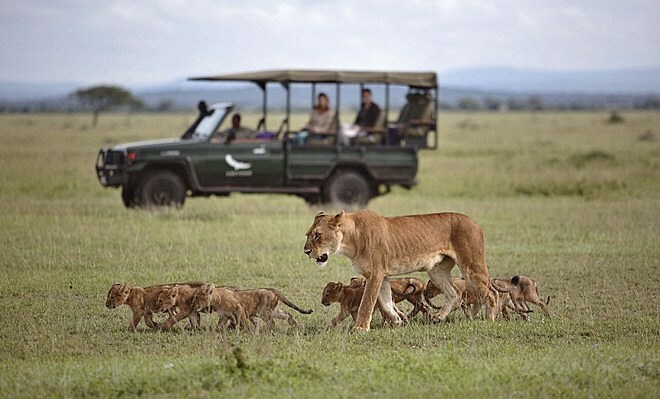 Children aged 6-11 can participate in game drives at the lodge manager’s discretion, but those of 5 years and younger are unable to participate unless a private safari vehicle is booked at additional cost. 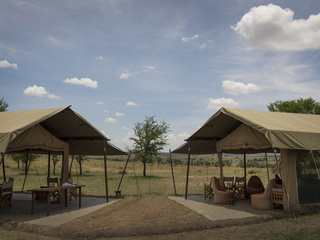 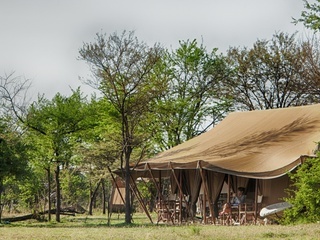 There is a family suite consisting of two luxury tents interconnected by an enclosed walkway which can accommodate up to two adults and three children. 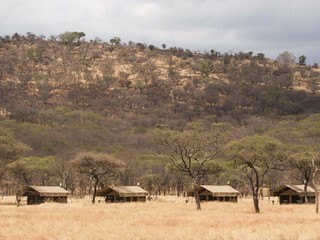 It may also be possible for triple rooms to be set up for parents who wish to share a room with children aged 16 or younger. 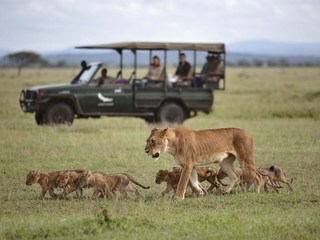 Childminding is available for an additional fee. 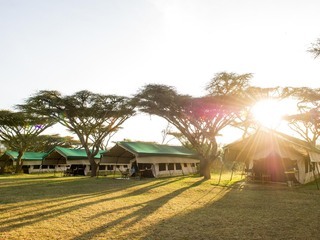 Note that animals are free to roam through camp and although they are unlikely to approach tents or humans, children of all ages must remain under constant parental supervision. 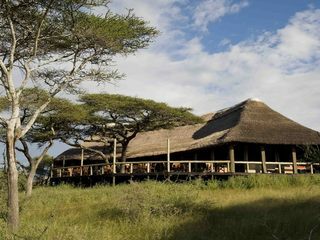 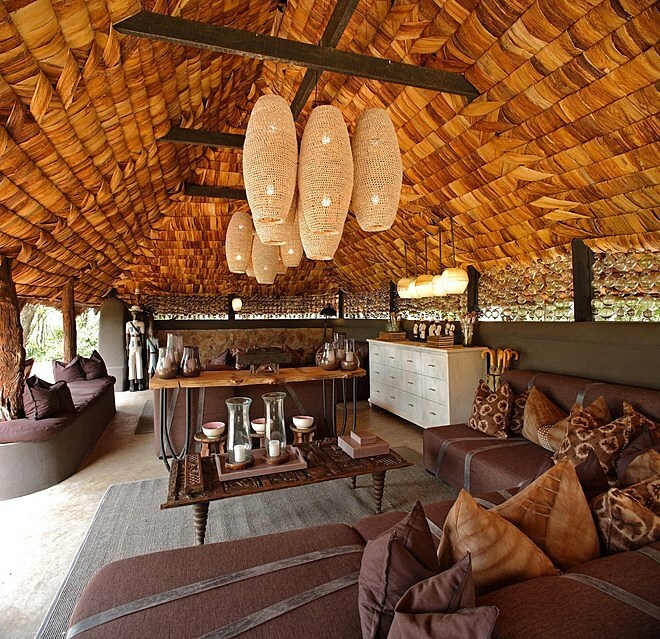 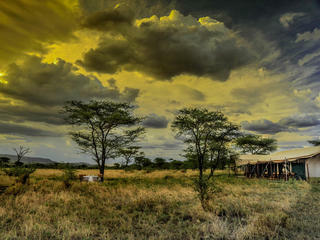 The Lodge at Grumeti Serengeti has a rustic yet sophisticated feel. 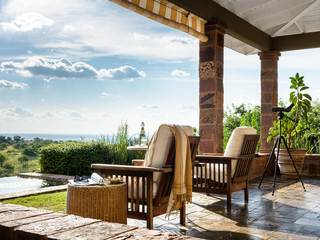 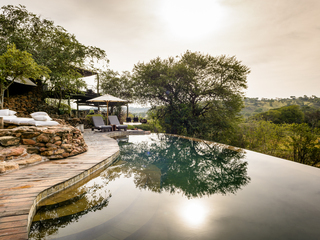 The tasteful décor and seamless service are second-to-none and although there is a price tag to match, any visitor in search of an authentic safari experience combined with charming accommodation and a spot of indulgence will not be disappointed.